Light-hearted and substantial, João David Almeida's vocal is delicate and compliments the busyness of the composition. The sax solos an extra surprise before a thoughtful solo from Alcántara. 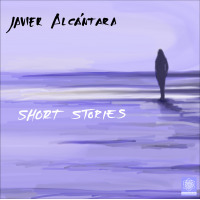 NUEVO DÍA Composition by Javier Alcántara Javier Alcántara: acoustic and electric guitars; João David Almeida: voice and metallophone; Diogo Santos: acoustic piano and keyboards; André Ferreira: double bass; André Mota: drums. Featuring Perico Sambeat: alto sax; Pedro Cortejosa, tenor sax; Narciso González, tenor sax “Javier is a great guitar player, his music is beautiful and honest. 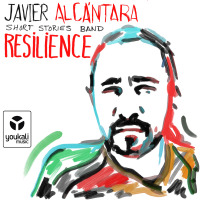 It was a pleasure working with him on this project.” Perico Sambeat “Guitarist and composer Javier Alcantra has created a collection of beautiful music that combines jazz harmony with his own personal melodic sense and unique tone and approach to the guitar, and organized it's performance by a group of some of the most exciting players from Spain and Portugal. The result is a thrilling journey that evokes the wonderful feeling of the people and terrain of the Extramadura region of Spain. I highly recommend putting on a pair of headphones and taking the trip! !” Jonathan Kreisberg.